No matter how well you care for your septic system, solid sludge can and will build up in the bottom of the tank, and grease will accumulate on the top of the water as well. This is why you will occasionally need Lake Stevens Septic Pumping service. 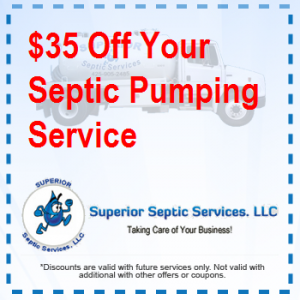 At Superior Septic Services, LLC, this is one of the many services we offer our septic customers. Septic pumping in Lake Stevens works by pumping this waste out of the septic system. When you call us for this service, our technicians will come to your property, insert a hose into the septic tank, and pump the debris into our truck, where we will safely remove and dispose of it. It is, perhaps, the most important part of maintaining your system and preventing leaks and other problems from built up debris. How Often Do You Need to Pump? We often have customers asking us how often they need to pump their septic systems. The answer depends on many factors. All systems will have non-organic materials that end up going down the drain, and the enzymes and bacteria in the system cannot digest these wastes. However, some factors, like the amount of waste water the household has or whether or not they have a garbage disposal, will impact the amount of times that pumping needs to occur. So how can you know if your system is due for septic pumping service? You could wait for the tank to back up, or you could call us to come measure the tank scum and thickness. Do not attempt to do this on your own, as it can be dangerous. We will take these measurements and help you determine if you are due for this service. 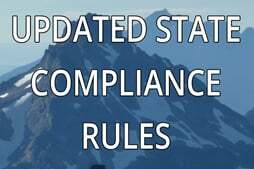 If you suspect hat your system might be due for septic pumping service, do not delay. Backups are not necessary and can be quite messy. Call Superior Septic Services, LLC today to schedule an Lake Stevens Septic Pumping and service. With our help, you can remove this debris before it causes a serious problem.